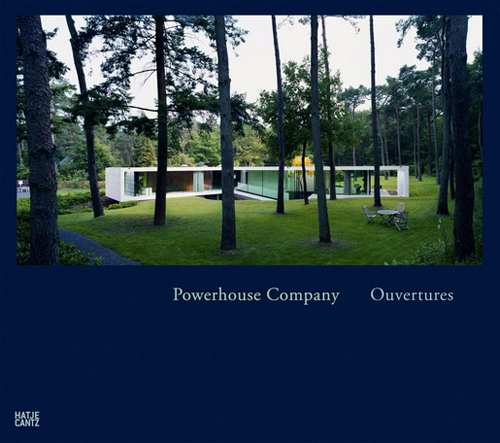 In 2005 Charles Bessard (b 1970 in Paris) and Nanne de Ru (b 1976 in Wageningen, Netherlands) founded the Powerhouse Company for Architecture, Design, and Research, with offices in Rotterdam and Copenhagen. Featuring selected projects, from designs to finished buildings, the publication 'Ouverture' shows the architects’ special, so-called integrated approach. Through key concepts such as context, collaboration, design, or detail, Bessard and de Ru elucidate their understanding of contemporary architecture, which can fulfill the requirements of urban life in terms of aesthetics and function alike. In order to do this, the range of architectural possibilities does not always have to be exhausted; sometimes simple, high-quality solutions are preferable. Through key concepts such as context, collaboration, design, or detail, Bessard and de Ru elucidate their understanding of contemporary architecture, which can fulfill the requirements of urban life in terms of aesthetics and function alike. In order to do this, the range of architectural possibilities does not always have to be exhausted; sometimes simple, high-quality solutions are preferable. This goal manifests in the Powerhouse Company’s buildings and can be seen in the photographs taken by Bas Princen and visualizations by MIR.